The Unitarian Universalist Service Committee (UUSC) is a human rights organization powered by grassroots collaboration. In more than a dozen countries throughout the worlkd, UUSC fosters social justice and works toward a world free from oppression. UUSC’s innovative approaches and measurable impact are grounded in the moral belief that all people have inherent power, dignity and rights. Learn more. Unitarian Universality Pennsylvania Legislative Advocacy Network, working together in common cause to embrace, articulate, and advocate for all goals of social and environmental justice. Our issues: Anti-Mass Incarceration, Economic Justice, Environmental Justice, Immigration Justice, Reproductive Justice, and LGBT Justice. Learn more. 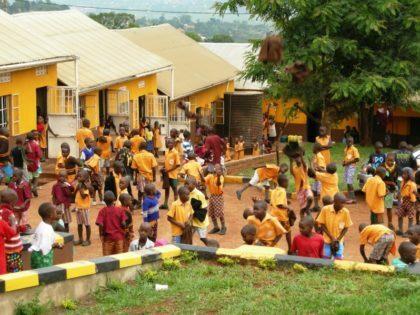 Since 2005 our congregation has actively supported the New ABC Divine Foundation Primary School in Mutundwe, Uganda which has about 420 students plus a staff of about 25. 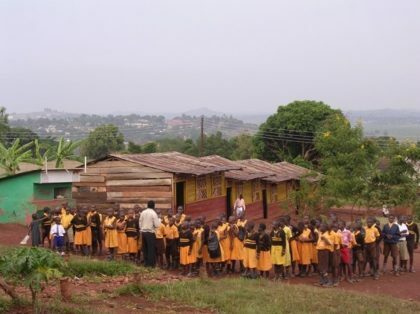 Through direct contributions and craft sales we have helped to raise money for capital improvements and special projects at the school, such as new brick classrooms, water catchment trenches and tanks, outdoor school kitchen, mosquito nets, band instruments, school nurse, sponsorships, etc. In February, 2018 we shifted the administration of this productive work to the charity All We Are. Nathan Thomas, the young founder and director of AWA and his team of millennials from all over the country have been coordinating with us on the details of continuing our ongoing projects, plus moving forward on the three priorities of AWA: solar energy for schools; clean drinking water; and empowering girls for equal education. We are committed to the work we began in Uganda and invite you to visit AWA’s website to learn of the many ways you can support what we are doing there. [The photos are “before” and “after” we started our work at the ABC school] Learn more. It is the goal of the Monroeville Interfaith Ministerium to celebrate this diversity and to provide opportunities for people of faith to fellowship together, learn from each other and to serve side by side to achieve understanding, compassion and social justice in the Monroeville area and in the world. Learn more. 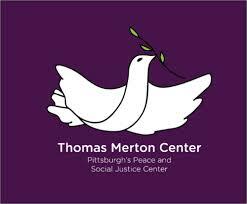 The Thomas Merton Center works to build a consciousness of values and to raise the moral questions involved in the issues of war, poverty, racism, classism, economic justice, human rights, and environment justice. TMC engages people of diverse philosophies and faiths who find common ground in the nonviolent struggle to bring about a more peaceful and just world. Learn more. The Westmoreland County Food Bank’s mission is to enable all Westmoreland County residents who are hungry or at risk of hunger to have ready access to food. Learn more. Our first local project is participating with Loaves and Fishes, a community emergency food pantry at Newlonsburg Presbyterian Church in Murrysville. We have placed a container for needed items in the Community Room. We are also looking for volunteers to be available the second Tuesday of each month to fill orders at the pantry if there is an emergency call that day. Newlonsbug Presbyterian Church houses and administers the “Loaves and Fishes” Emergency Food Pantry. “Loaves and Fishes” is supported by area churches and groups and staffed by volunteers from throughout the community. “Loaves and Fishes” provides a three day supply of food to those who need it on an individual and emergency bases. Learn more.